Specializing in LMD, (Manual lymphatic drainage) many people find this an excellent treatment for healing acute injuries, boosting the immune system and dealing with the side effects of surgery. Other specialties for Tia: resolving foot pain, alleviating depression, teaching self care for stress and anxiety, releasing neck and shoulder tension, and restructuring computer related pain. The body is full of personal messages and stories. Together, when we listen, we can explore specific ways to unwind your pain patterns, the goal being to restore your internal natural life-force flow and experience life happy, balanced and healthy! Tarot works like a spiritual mirror. Together with the law of attraction, it helps activates our intuition. Tia Ma uses 10 or more different decks, sometimes all at once. Readings generally are very fun, validating and insightful. Many people might have a deep fear of tarot, maybe they are afraid of what the future may hold. Nothing is written in stone, yet we always have the option to notice what we are broadcasting out in our life. Perspective and clarification can assist us in making life choices. 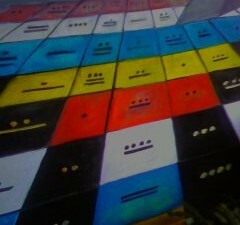 Tia Ma also teaches tarot, divination and I Ching to those who would like to learn these crafts for themselves. Readings are priced on the same sliding scale as massages: Per hour = $60.00-$90.00 (your choice). Under an hour (5, 10, 15 minute readings etc.) are $1.00 a minute. Phone or email consultations are available. Get in touch with me through the form on the left. Appointment only, $100 per hour.